Assists Director with regular operations germane to verticals- Industrial Infrastructure, Trade Advisory and Risk Management Services. ▪Partakes of budget planning and corporate profiling conferences. ▪Spokesperson for the three verticals to the various media departments. ▪Monitors and reports the performance levels of the four verticals. ▪Maintains transparent inter organizational corporate communications. ▪Devises and executes corporate and public relations strategy. ▪Prepares materials for International Joint Venture pitching. ▪Does market mapping for the verticals discreetly. ▪Assists on Global Trade Ventures, viz- importing and exporting industrial raw materials for public sector clients in India. ▪Creates Market Requirement Documents for the four verticals. ▪Online (digital campaigns) and Off-line marketing planning and monthly budget allocation. ▪Creates and proof reads all marketing and digital content for the four verticals. ▪Enterprise Risk Management Program – for the YTR enterprise assist with risk/loss identification, analysis, control, financing, and administration of the marketing operations. ▪Continuity of Operations Planning – coordinate and work with the YTR emergency management department to assist departments develop and implement continuity of marketing operations plans. ▪Responsible for directing or controlling program operations and accountable for the allocation of marketing resources and program results. ▪Regularly exercise independent judgment and discretion in work directly related to management policies or department business operations and have delegated authority to make commitments that affect department operations. Reported to Vice President- Marketing and CEO for the brand SchoolCom, promoting a disruptive real time database maintenance tool meant for effective educational systems. ▪Performed supervisory, managerial, and administrative work in planning, organizing, and directed the operations of marketing and communication initiatives. ▪Planned, organized, and executed a comprehensive public relations program for the brand outreach. ▪Developed, prepared, and implemented a section budget and manage the associated funds for marketing purpose. ▪Developed division or department educational material and/or promotional brochures, and literature. ▪Researched, wrote, edited, and arranged for the distribution of news releases, publications and special articles. ▪Prepared and edited scripts and speeches for presentation at public meetings or for media. ▪Developed and presented public education programs for schools and community organizations. ▪Maintained and/or designed information on website(s). ▪Arranged media events for the brand spokespersons. ▪Direct contact for media moguls and journalist networking. ▪Maintained Social Network Communications and uniform brand image with multi-channel presence. Developed the corporate reputation strategy for organization's e-commerce brand Home Needs Online. ▪Identified, evaluated and engaged with external research agencies to lead insight generation. ▪Drove organizational alignment of strategy. ▪Developed the annual brand plan and led execution of strategy. ▪Supported organizational functions in executing their tasks on reputation. ▪Coordinated efforts across platforms mass-media, on-ground, online and digital. ▪Evolved the brand assessment process by developing or identifying assessment tools. ▪Developed the online and digital strategy for the brand and engaged with agencies to lead implementation. ▪Engaged with media agencies and houses to develop media properties that will help brand development. ▪Communicated the brand values and promise through creative communication leveraging Print, TV, Online etc. Lead development of medium specific communication. ▪Determined proposal concept by identifying and clarifying opportunity needs; studying RFI’s;attending strategy meetings with Capture Management Team. ▪Met proposal deadline, gathered, wrote, reviewed, and approval; entered and monitored tracking data; coordinated requirements with contributors; contributed proposal status information to review meetings; and transmitted proposals. ▪Gathered proposal information by identifying sources of information; coordinating submissions and collections; identified and communicated risks associated with proposals. ▪Developed proposal response by assembling information including project outcomes/deliverable,implementation, methods, timetable, staffing, budget, standards of performance, and evaluation; writing, revising, and editing drafts including executive summaries, conclusions, and organization credentials. ▪Prepared PPT presentations by evaluating text, and graphics. Maintained quality results by using templates; followed RFI response-writing standards including readability, consistency, and tone; and maintaining proposal support databases. ▪Obtained approvals by reviewing proposal with key capture providers and US Team Mentors.Improved proposal-writing results by evaluating and re-designing processes, approach, coordination,and boilerplate content ; and implementing changes. ▪Provided proposal support to include: writing compliant, credible, and compelling proposal narrative and technical conceptualizing. ▪Coordinated with US team and SMEs, documented the results, and used them to support in writing original proposal narrative. ▪Analyzed Federal solicitation document (RFP, RFI) and technical services required by them. Assisted in developing winning proposal response strategies. Assisted Global strategic team based in US, France and Hungary.Served pre and post media launch test analysis. ▪Technical assignment to copy test creative adverts for clients. ▪Core participation in latest multi-country pilot project based on creative flagship market research tools and techniques. ▪Analytical presentations dwelling on substantial and calibrated statistics to support product performance reports. ▪Consumer Brand Relationship Study & Brand Appraisal Tracking (periodic). ▪Brand positioning solutions for clients from the Pharmaceutical Industry. ▪Scripting and updating survey questionnaires for online marketing research projects. ▪Brand Experience Measurement studies for clients. ▪Clients included- Unilever, Pernod Ricard, Home Depot, Loreal, Nokia, Samsung, Star Bucks, GSK, etc. Cross-cultural Management, International Human Resource Management, Marketing, Relationship Marketing, Global Leadership, Business Ethics, Organizational Behavior, Foreign Exchange Management, Corporate Finance, Financial Accounting, Managerial Accounting, Entrepreneurship and Innovation, Global Strategy, Business Sustainability, Supply Chain Management. Retail Management, Managerial Economics, Principles of Management, Fundamentals of Retail, Organizational Behavior, Visual Merchandising, Store Layout and Planning, Retail Software, Fabric and Garments, Accounting, Merchandising, Customer Relationship Management, Marketing, Supply Chain Management. Bagged second place in Inter-college Debate Competition at NIFT, Raebareli. Among five members of College Placement Committee; Program CR (Class Representative) for 3 consecutive years while pursuing undergraduate studies. Represented College Visual Merchandising team for regional level participation, designed set of creative windows based on the docket theme "MUSIC ERAS". Honed MS office entire suite (PowerPoint, Excel, Word), Outlook Express, Outlook.com. Online Marketing, Multi-channel Communications, BTL and ATL Marketing, Content Marketing, PR Strategy, Media Planning, Sales Cycle Monitoring, Competition Research, Gap Analysis, Product Marketing, Client Relation Management and Networking. Represented businesses in Trade shows and Conferences. To create invaluable business properties and dedicate my professional credibility to a lifetime association. Loves to keep track of latest technology. Learns latest creative marketing tactics. Passionate about the digital sphere. Specifically interested in Millennial purchase funnel. 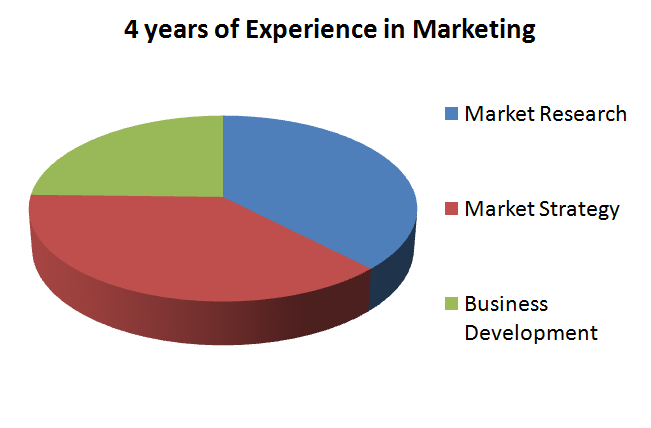 Befitted to both B2B and B2C approaches. Team oriented, highly ethical and understands the importance of a group's dynamics. Love to lead, speak publicly, inspire and get inspired. Strategy is easy. Execution is the real test of a marketer.